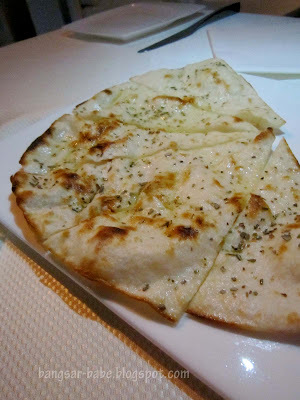 Dinner at Spasso Milano was as pleasurable as lunch was. While it was more expensive compared to the incredibly affordable antipasti lunch buffet, the food was still cheaper than most fancy Italian restaurants in town. 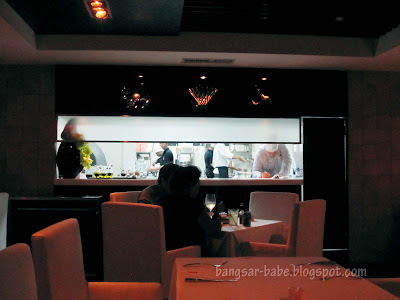 The dining room had a different feel in the evening, but it was still leisurely and comfortable. There is barely any copywriting done; the menu lists each dish by its Italian name, with a concise description in English. Spasso Milano allows the food to speak for itself. We opted for a bottle of easy drinking white wine — Agricola Allegrini Soave DOC 2008 (RM148 bottle, RM32 glass). 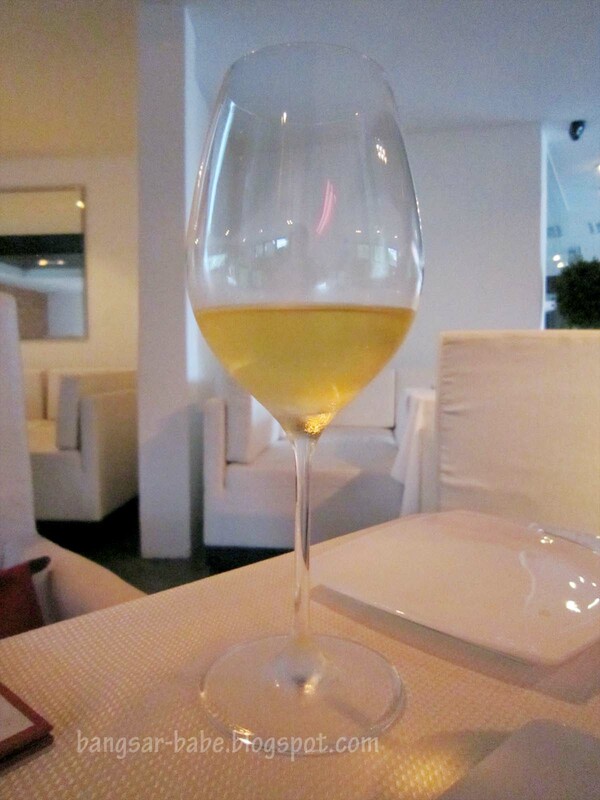 Elegant, with a crisp and fruity aroma, it paired well with most of the food we ate, especially the seafood main course. 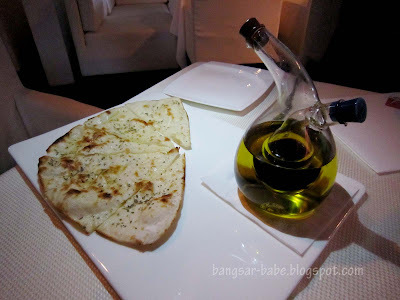 Not long after we placed our orders, the waitress brought out a platter of crusty bread, together with a bottle of extra virgin olive oil and balsamic vinegar. 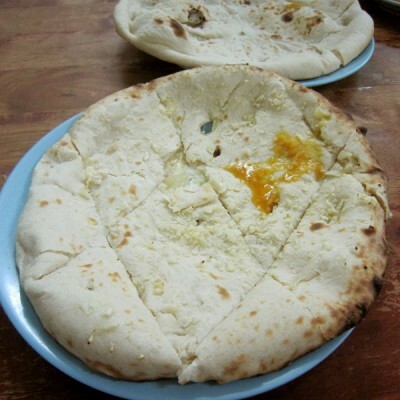 Baked using the wood-fire oven, the bread had a lightly chewy texture. 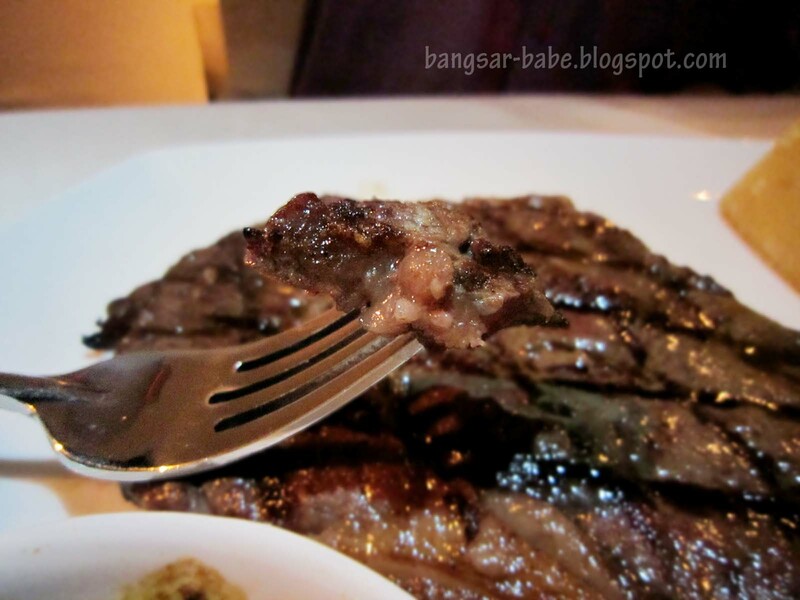 The goose liver (RM68) was excellently prepared. 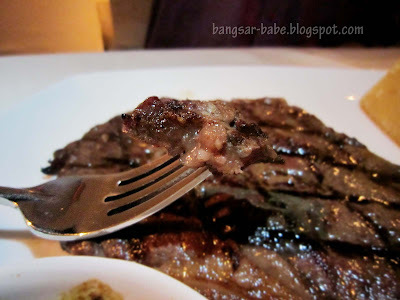 Crisp on the outside, I loved how the liver remained moist and creamy at the centre. 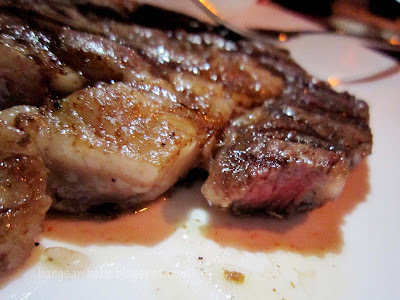 If you like your foie gras done the traditional way (lightly grilled), you might not enjoy this as much as I did. 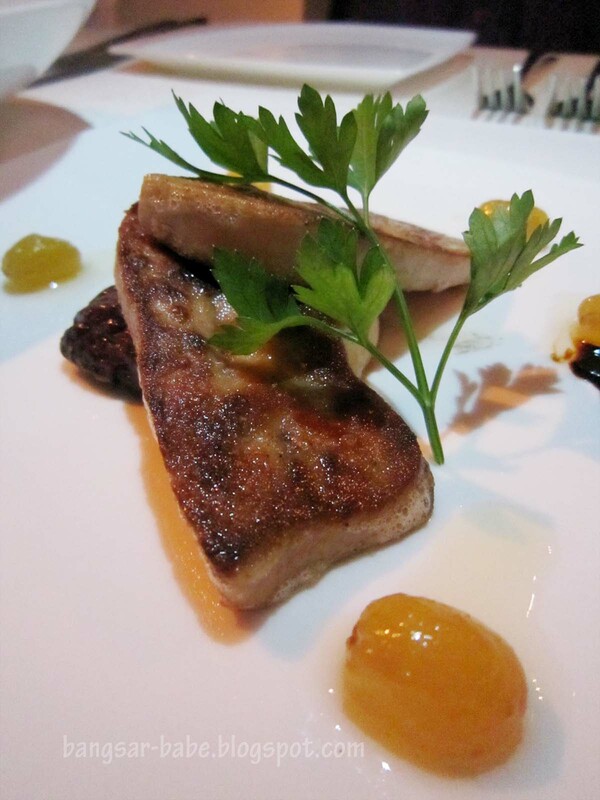 The foie gras’s richness was further heightened by the sweet and earthy flavours of the grapes and mushroom. 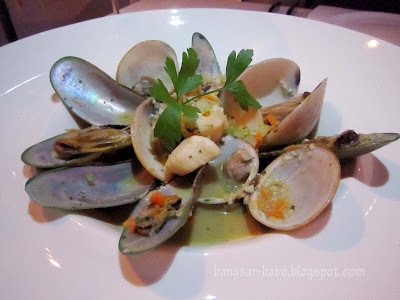 Less engaging was the dish of flamed mussels, Alaskan scallops and clams in herbed wine sauce (RM28). While the scallops and clams were sweet and succulent, the mussels were disappointingly tough and rubbery. Such a pity, as the broth was delicious. I reckon the kitchen staff made a mistake by adding the pre-cooked mussels into the broth first. 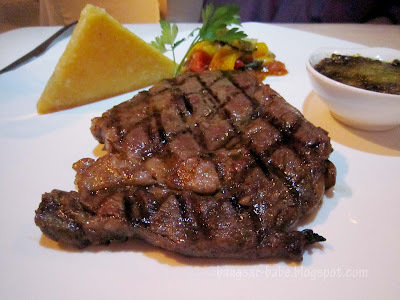 rif’s Australian Wagyu Ribeye (RM98) was ample, beautifully marbled and cooked to a medium doneness. Each bite was fork tender and luscious from the fat. 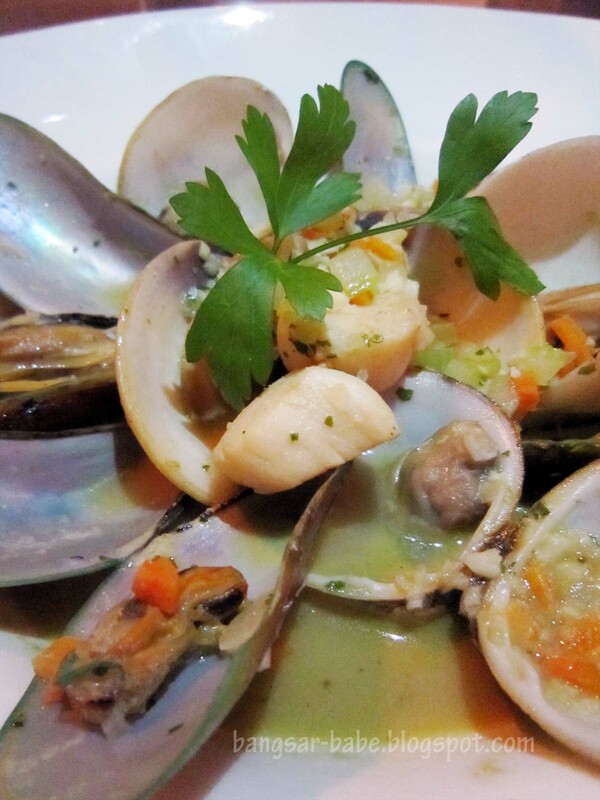 The accompanying Café de Paris, a butter-based sauce, was herb-y rich with a hint of citrus and spice. We couldn’t get enough of this! Our waitress suggested the jumbo prawn and lobster with tomato oil (RM78) as the other main course, and I’m glad we listened to her. 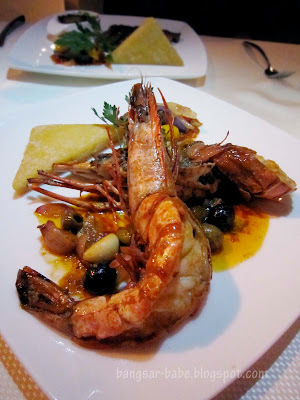 The prawn (spilt and grilled) was about seven-inches long with a flavour somewhere between shrimp and lobster. 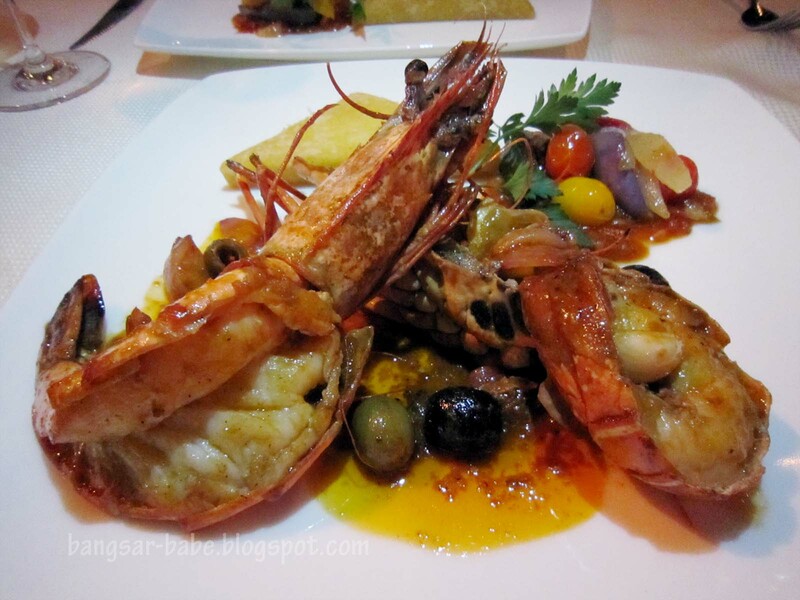 Equally as good was the lobster – chewy and full of character. Sides were kept simple; vegetables were slightly tangy, while the polenta cake was perfectly crisp with a moist and crumbly centre. 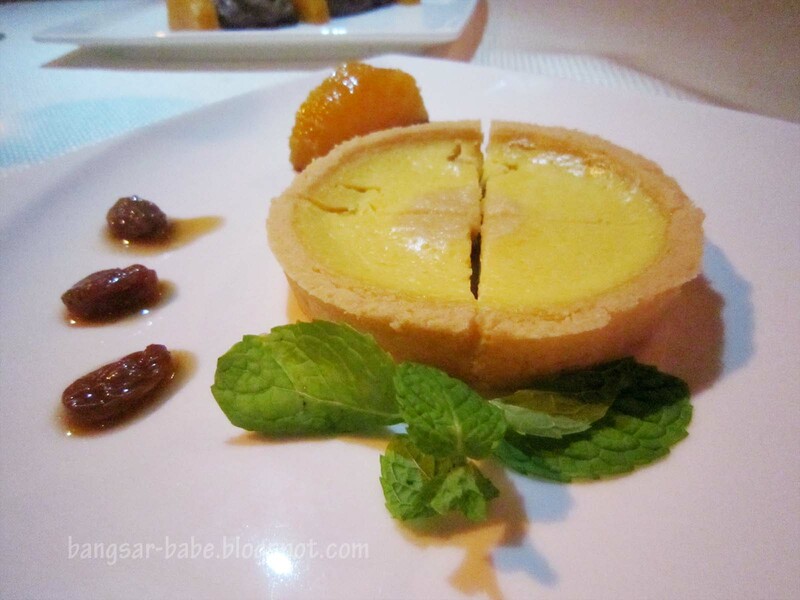 At the moment, there are only three desserts to choose from the menu. We decided to skip the highly recommended lemon tart for the chocolate mousse and ricotta cheese tart. While citrusy desserts help balance the richness of the dishes, I never liked offsetting flavours that way. Instead, I prefer letting the flavours linger a little longer in my mouth. 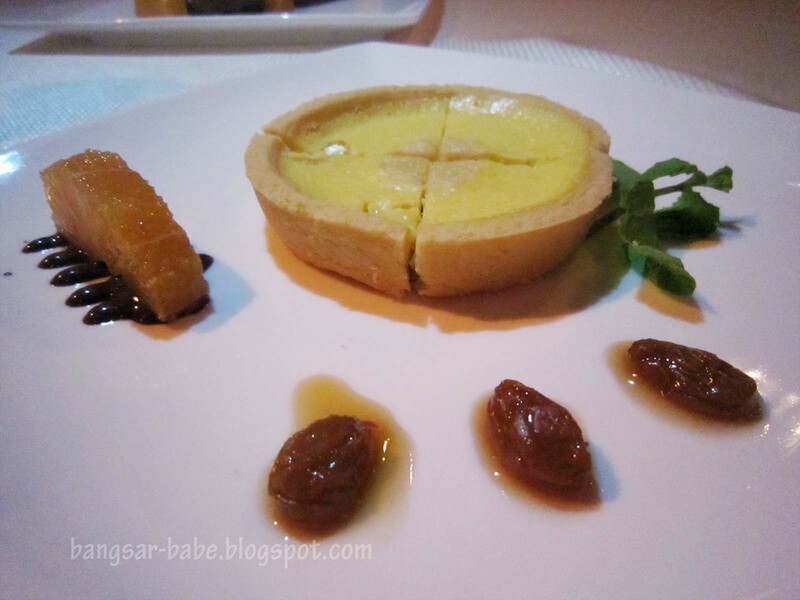 The ricotta cheese tart (RM21) might be a tad rich for some, but it was perfect for me. 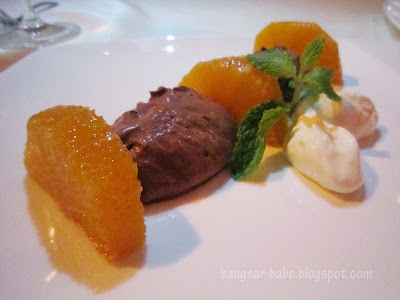 Chef Felice’s chocolate mousse (RM18) was a clever medley of cinnamon, orange slices and bittersweet mousse. Overall, the food was straightforward and satisfying; the kind one could eat with pleasure every day (just don’t think about calories and cholesterol). 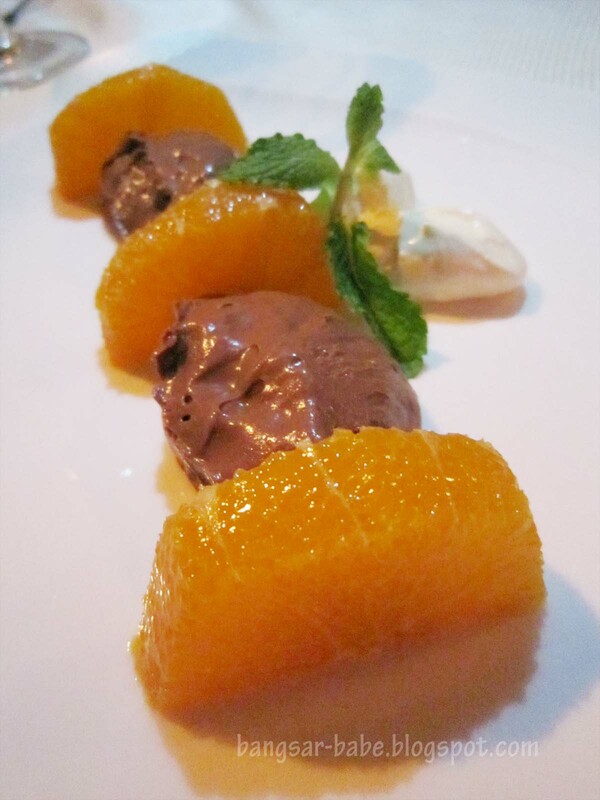 Service was consistently good — the staff replaced our dirty plates swiftly, topped up our wine glasses when needed and ensured a smooth flow between starters, mains and desserts. Verdict: Good food, good value, good service. J3NAR – Yes, do try Chef Felice's cooking. It's good! timing – Yup, I was surprised to see the prices in the menu. And it was delicious.